A diet rich in vegetable fiber is a necessary ally to our health, as it helps our body maintain its normal pace. Vegetable fibers have important properties: not only do they help our bowel be in good condition and to detox our body, but they can also have an important contribution to anyone who wishes to remain thin, to the extent that they create the feeling of early saturation without many calories. But to be able to get the most out of them, you will need to include them in your diet program in a proper way. Let’s take a closer took to what vegetable fibers are, which foods are rich in these, what is the daily amount recommended by nutritionists and who is more suitable to follow such a diet. Vegetable fibers are nutritional ingredients of plant origin, and they belong to the family of sugars. However, unlike sugars they do not come from the digestive enzymes and therefore they are not assimilated neither are they used as a source of energy. 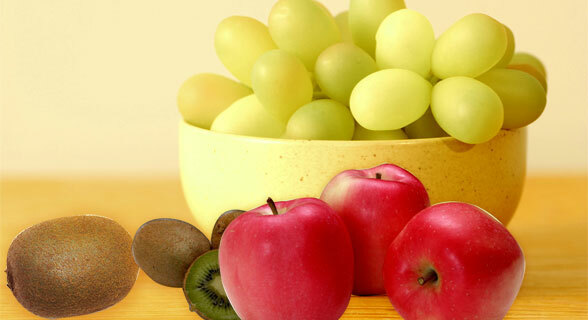 Water-soluble which are found in fruit and vegetables. The insoluble vegetable fibers have the capacity to accelerate the intestinal procedure in a simple and natural way, favoring the natural functions. In addition, they enable the easier excretion of toxins and useless substances. Therefore, they are suitable for use in the fight against constipation and for the cleansing of the body. Water-soluble vegetable fibers, on the other hand, once consumed and come into contact with water they have the ability to become inflated in the stomach, creating a gelatinous mass. This is what creates a premature sense of saturation, so we eat less and the calories that are attributed to the body by the fibers are minimal. Finally, they have two important effects: On the one hand they help reduce glycaemia, in other words the level of sugars in the blood and on the other hand they slow down the concentration of fat, while maintaining cholesterol under control. The main source of insoluble plant fibers is found in wholemeal foods (pasta, bread, toast, pastries, flakes for breakfast, etc.). They are called wholemeal because they retain all their natural and nutritious ingredients. In fact they are products that have not been refined, i.e. they have not undergone those processes which remove the outer skin of the grain. Particularly rich in plant fibers are also all vegetable foods, like fruit (even nuts) and vegetables, raw or cooked. Refined cereals, such as the wheat that has undergone processing to remove the bran and to produce white flour, are very poor in vegetable fibers. Therefore, replace as much as possible the white bread, toast, pasta, cereal flakes for breakfast with wholemeal products, which are clearly more rich in vegetable fibers. The quantity of vegetable fibers recommended by nutritionists is 25 grams a day. This need can be met by consuming five a day (five portions of fruit and vegetables) and adding to one of the main meals one portion of wholemeal cereal. Vegetable fibers intake should be increased gradually, especially if the diet you were following until recently was poor in fibers. The ideal is to start with breakfast: you can start with yogurt with the addition of one to two tablespoons of wholemeal flakes or cereal. Gradually, during one week, you can increase the amount of vegetable fibers, adding them to lunch or dinner as well. In order for them to be effective and to give the maximum of their advantages, vegetable fibers should be accompanied with a lot of water. For example, a young woman with normal weight should drink at least two liters of water a day, including beverages and juice. To enhance the results, it is very important to combine them with the right diet plan and regular body exercise. 40 minutes of fast pace walking are enough in order to avoid relevant undesirable consequences, such as swelling of the abdomen, which can occur in some cases in the first phase of the increase in the consumption of vegetable fibers. Who should follow a diet rich in vegetable fibers? A diet rich in vegetable fibers is recommended for those suffering from constipation, to those who find it difficult to control their weight and finally to those who have hereditary predisposition for diabetes, since vegetable fibers help reduce the level of sugars in the blood. Really great post.I agree with you.Because, I have reduced my weight by eating vegetable fiber.